Description Large, galvanized steel planter filled with soil and plants. Typical Dimensions 42 in. x 72 in. x 24 in. Estimated Cost Varies. $90 / 4 ft. ; $150 / 6 ft.
Durability Demo: 1 day to 1 month installation / Interim: 1 month to 1 year installation. 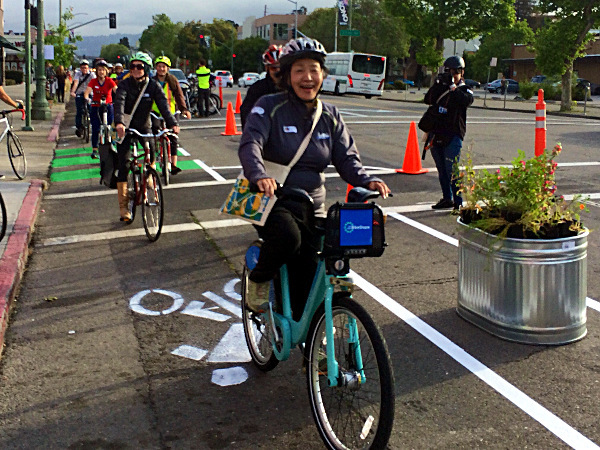 Bikeways Center steel planters within the buffer zone along the edge of the bikeway. Typical spacing should be 8 - 20 ft. between planters, depending on the thoroughfare’s design speed / bikeway configuration. Allow a minimum of 3 ft. clear width for installation. 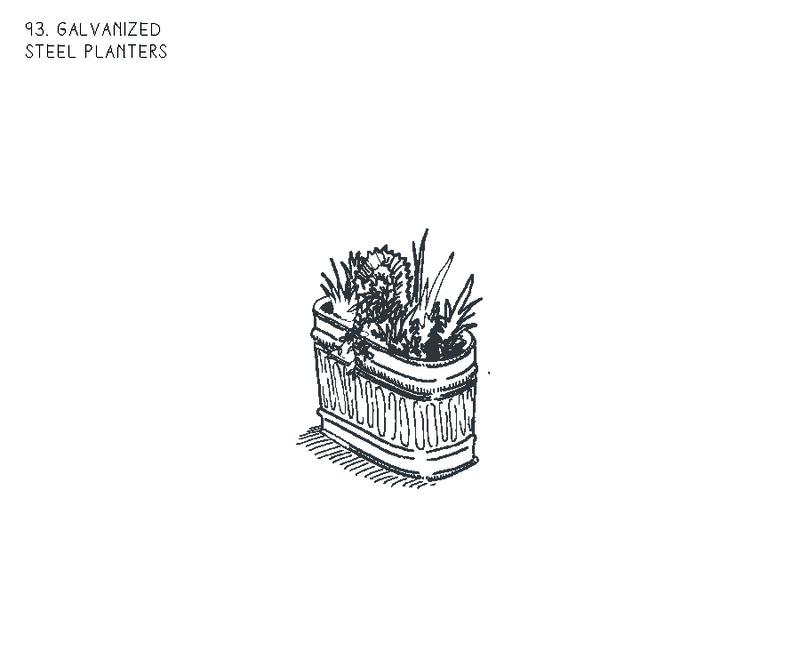 Plazas / Activated Alleys Use planters to define edge, every 8 - 10 feet. May also be used as landscaping/greenery throughout the area. For pilot projects, select a deeper planter so that watering is required less frequently. Purchase from landscaping, feed, or hardware store.